The Cajun-Creole version of paella, though more highly spiced. 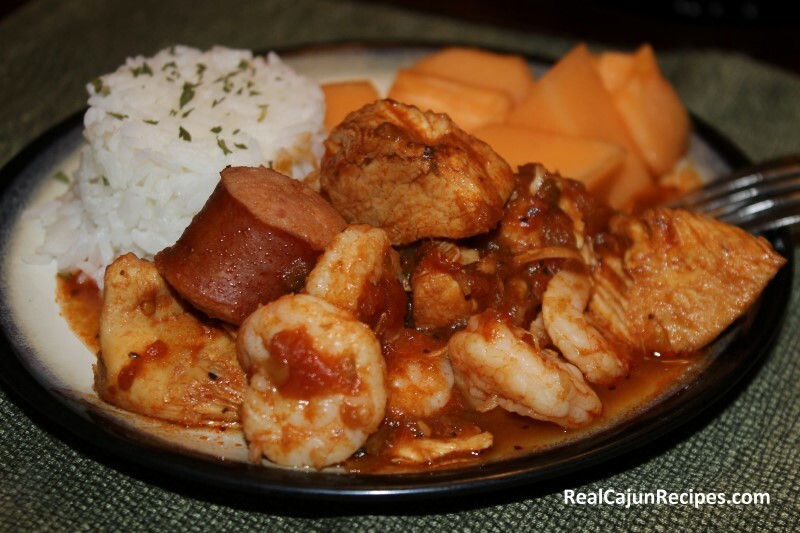 There are many different versions of jambalaya; in fact, the only consistent ingredients are rice, tomatoes, peppers, and onions. In a crock-pot add all together except shrimp. If using shrimp use all of the small can of tomato paste Cook on high for 4 hours. Add shrimp and cook an additional 30 minutes. Serve over rice or combine with enough rice to reach the desired consistency. Instead of rice, prepare your favorite pasta and serve over pasta for Pastalaya... Ya Ya.